New to the U.S. market, from Down Under, is the Noosa Tri-6. This Aussie cult classic was inspired by Australian Triathlon enthusiasts looking for a lightweight, racer-like yet supportive feel. With fewer materials, the Noosa Tri-6 can be worn barefoot with less potential for irritation and the open mesh keeps the runners foot nice and cool. If the vibrant colors weren't enough for you, the logo stripes consists of material that glows in the dark allowing the runner to be seen. 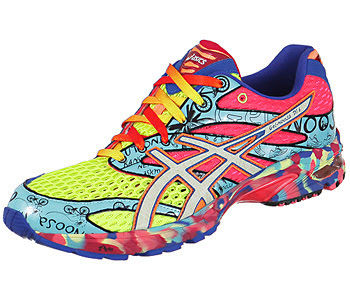 Lace a pair up for racing, tempos or daily training and run Aussie style.